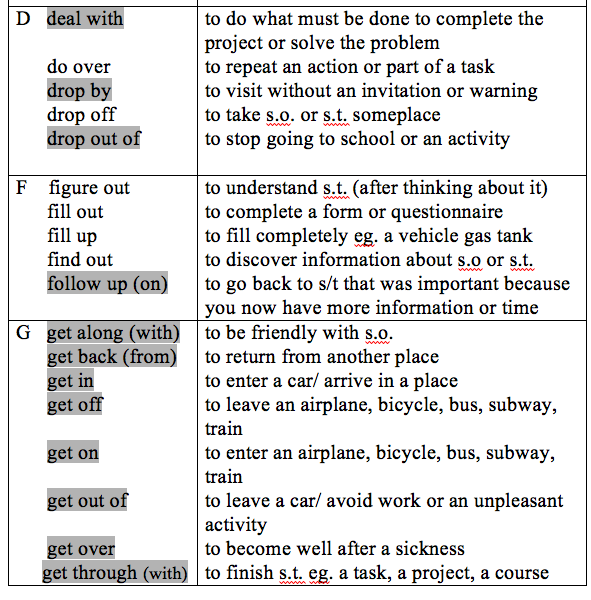 A phrasal verb is a combination of a verb and one or two particles. 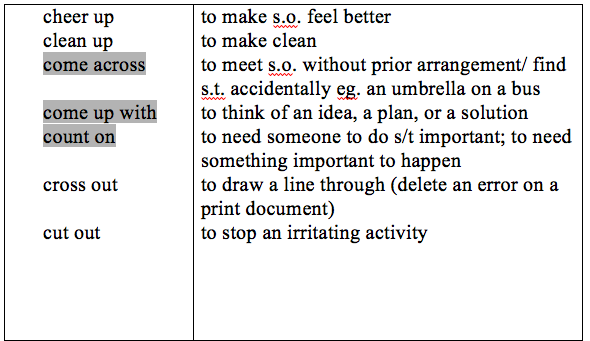 Particles and prepositions look the same, but particles change the meaning of the verb. 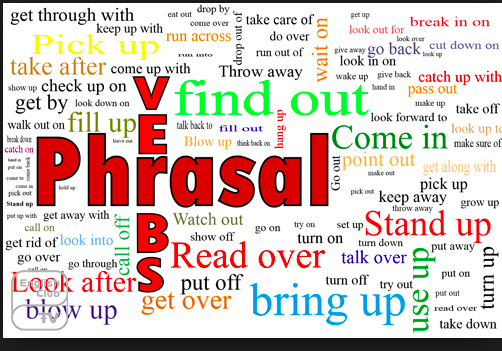 Phrasal verbs are commonly used in informal speech; there is usually a more formal verb that has the same meaning. For example, select is considered more formal than pick out. 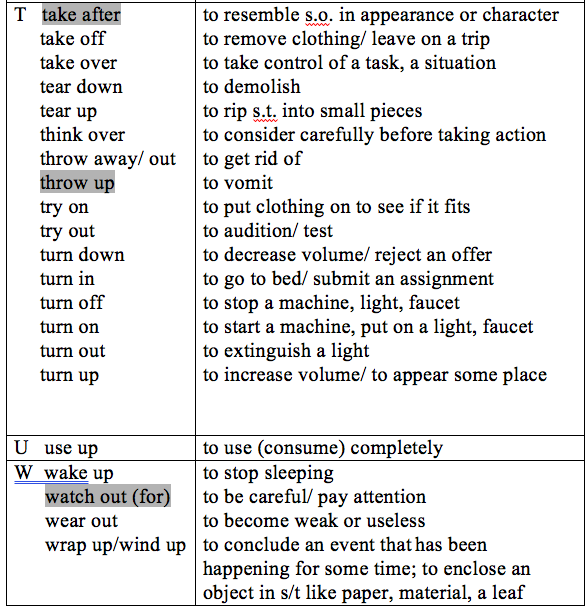 The following is a list of some commonly used phrasal verbs. In many cases, there is more than one meaning for a phrasal verb. 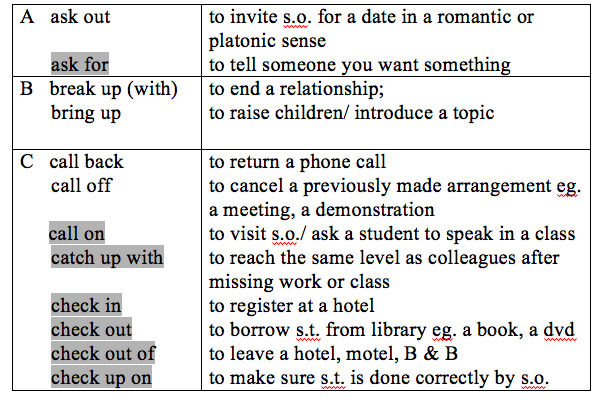 Separable Phrasal Verbs The noun may come either between the verb and the preposition OR after the preposition e.g. He looked the information up. or He looked up the information. 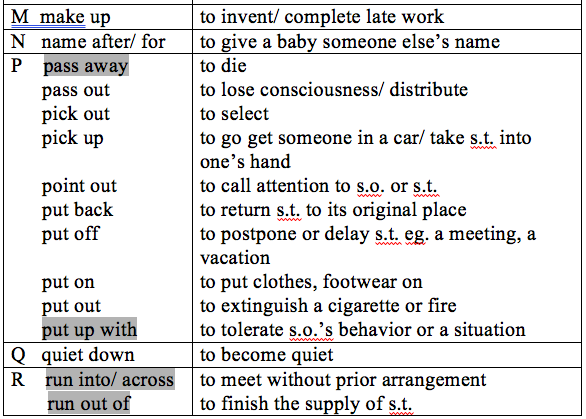 ** If a pronoun is used, it always comes between the verb and the preposition. e.g. He looked it up. 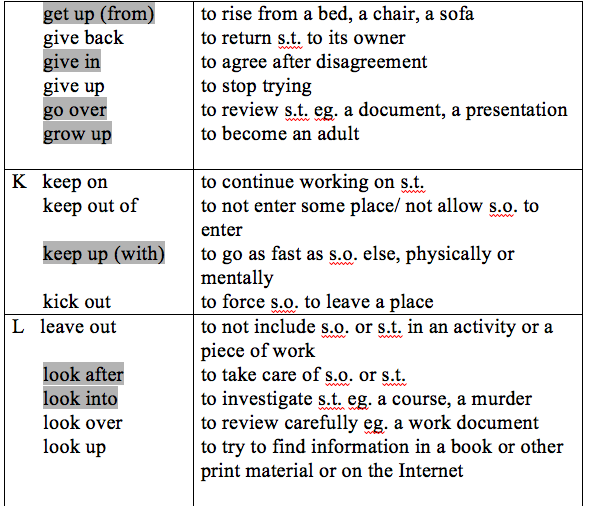 Nonseparable Phrasal Verbs (highlighted below) The noun or pronoun must follow the preposition.